While seizures rarely happen in guinea pigs, it's important to understand the causes. A firm understanding of the causes of seizures can help you prevent them from happening. Should a seizure occur, you must recognize the importance of immediate veterinary care in saying your pet's life. Without proper treatment, a seizure can prove fatal to a guinea pig. Whether they're caused by heat or a vitamin deficiency, seizures are preventable. 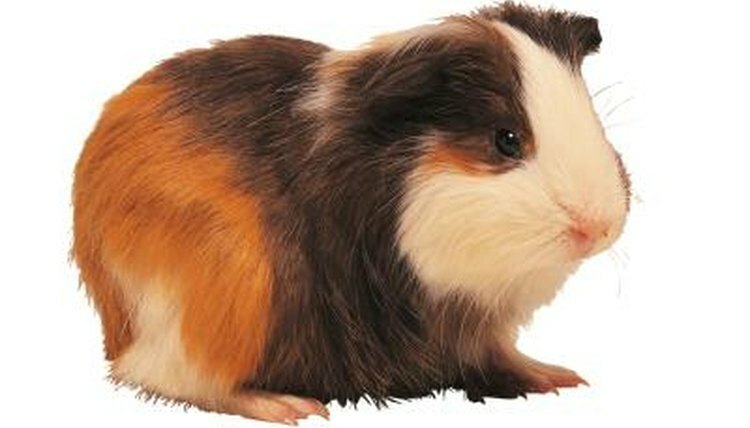 A number of factors can cause a guinea pig to have a seizure. Heat is one of the leading factors, but other causes include vitamin C deficiency, a head injury, tumors, poison, mites and ear infection. Sometimes a guinea pig's cause of seizure may be undetermined. If that's the case, your guinea pig may be diagnosed as having idiopathic epilepsy. When seizures are caused by a mite infestation, the guinea pig will hold his head straight back during convulsions. Mites burrow into the skin and sometimes affect the central nervous system, leading to this reaction. Seizures due to other causes will usually result in the guinea pig tilting his head to the side or curling up his body during convulsions. The first approach to preventing seizures is making sure your guinea pig never becomes overheated. Housing your guinea pig is a room that is well-circulated and has a temperature range of 65 to 75 degrees Fahrenheit, but never over 85, is essential. Place your guinea pig's cage away from direct sunlight and drafts. Your next job is to make sure your guinea pig has a healthy diet that includes fresh pellets, fresh fruits and vegetables, hay and fresh water. It's essential that your guinea pig have enough water to ward off dehydration, which can cause overheating. Avoid cages with platforms. Also make sure the cage locks securely so that your pet doesn't escape and get into something he shouldn't. Dropping your pet can cause a head injury that could cause seizures. Always hold your guinea pig while sitting down, and never allow him to perch on your shoulder while you're standing. Never allow your guinea pig to roam free. This could lead to the ingestion of poison and may prove fatal. If your guinea pig is having a seizure due to heat, rub his feet down with an equal mixture of rubbing alcohol and water, then place your pet on a cool, damp washcloth until you can get him to the vet, which you must do immediately. If you suspect that your guinea pig is having a seizure, visit a vet immediately. Seizures are just as deadly to guinea pigs as they are humans. Your vet will run blood work and other diagnostic tests to try to determine a cause for the seizure and will prescribe medication and care changes as necessary.